It is with great sadness that we must inform you that Mr Cowie, Head Teacher, has died following his recent illness. Copies will also be made available in school. We will have support structures in place to help your child cope with this tragedy. We will share details of a memorial service for the school community once arrangements are in place. We are sorry to bring you such sad news, and appreciate that an occurrence like this impacts upon us all. Mr Cowie was extremely proud of the Westpark School Community and it is our hope that, together, we will be able to guide and support the children through what may be, for many, a very new experience in their lives. A book of remembrance will be placed in the school foyer for pupils, parents and staff to sign if they wish. We ask that you do not bring flowers or teddy bears to school, and instead will be collecting donations for a local food bank. We feel that Mr Cowie would want your kind wishes to benefit our local community. We are sorry to bring you this news and our thoughts are with Mr Cowie’s family at this very sad time. 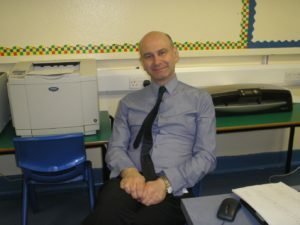 I’m so sad to hear this news he was the best head teacher I’ve had and ever will. He was so nice to every one. I hope his spirit lives on in Westpark pupil hearts. so sad to here this news he was the best he was ther from start to end and hope that he will be safe rip mr fraser cowie u were such a great help to the school and will never forget you kind regards kady blanchett.